What a deal! Price lowered for quick sale. This is the perfect beach getaway. The unit is just steps from the gorgeous Gulf of Mexico. You can't get much closer than Seaspray. Lovely and spacious living & dining area with tile flooring, nice furniture and sliding glass doors leading out to your open, covered patio. Kitchen is light and bright and well equipped. Upstairs is a large bedroom. 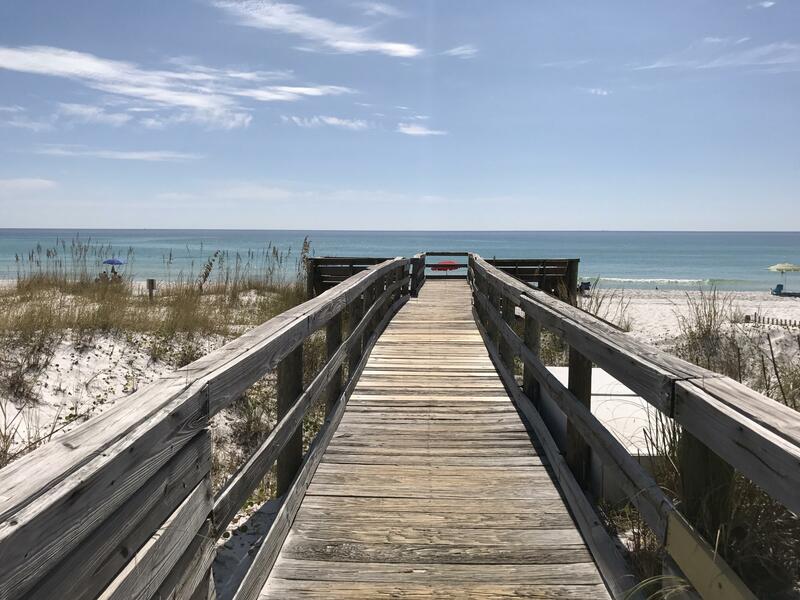 Seaspray Condominium is a very well maintained, gated community on Okaloosa Island. Great amenities include: beach, year round heated pool, picnic area, playground, shuffleboard, large grassy courtyard, clubhouse, sauna, exercise room, laundry facilities. Walk to Gulfarium, fishing pier, great restaurants. Buyer to confirm all dimensions and sq. ft.